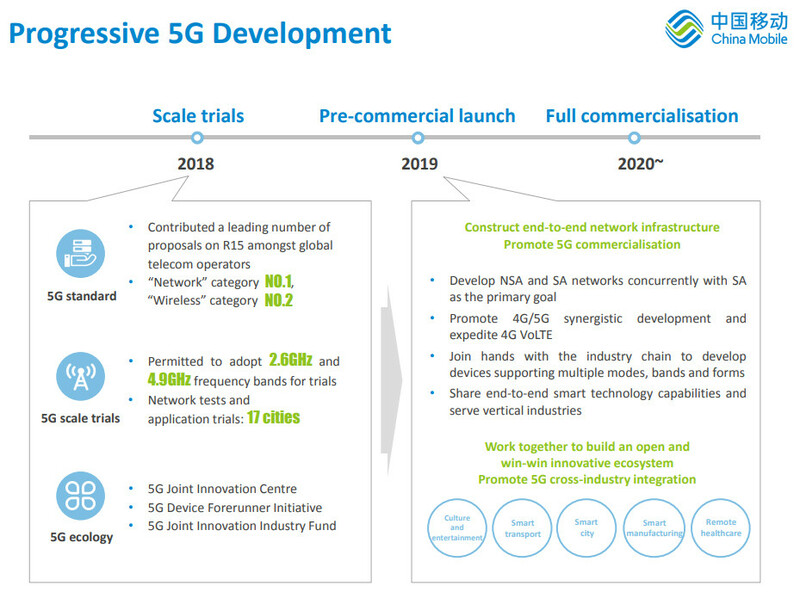 Analysts are predicting an underwhelming start to 5G from its biggest market, with China’s giant operators taking a cautious approach to investment. The Global Times reports that, between them, China Mobile, China Telecom and China Unicom will invest around $5 billion on 5G networks this year. This is apparently in line with “their pragmatic and cautious strategies”. Apparently China Telecom is dropping 9 billion yuan on 5G this year and China Unicom around 7 billion, which by the reports own assertions means China Mobile will be the big spender with 18 billion yuan. As you can see in the clip embedded below, another analyst echoed this perspective in a recent interview with Bloomberg. All this speculation about Chinese 5G prospects has probably been prompted by the recent announcement of China Telecom and China Mobile’s 2018 numbers. 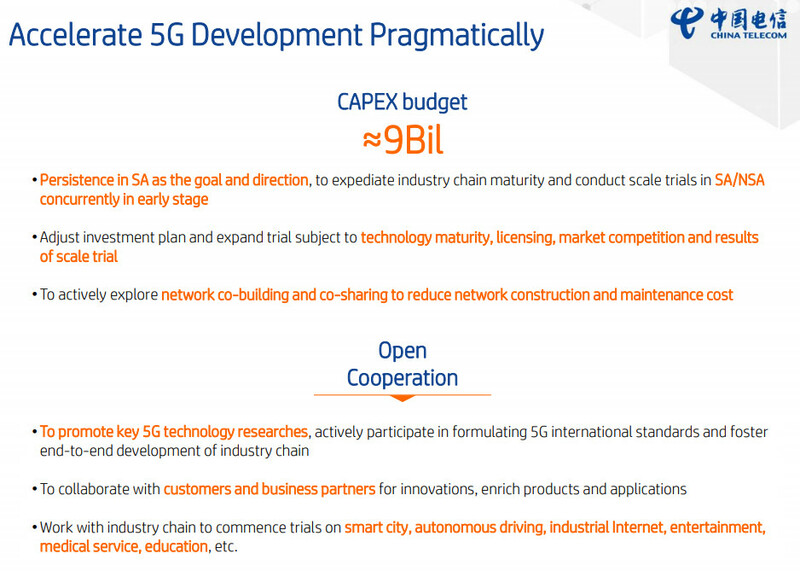 The two slides from their respective earnings presentations offer some further insight into their immediate 5G plans. Shares in telecoms firm Kcom surge as it approves buyout deal – City A.M.